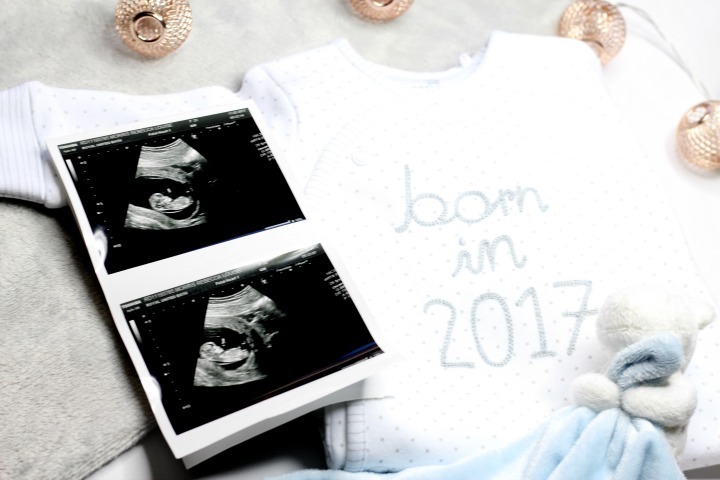 We have something to tell you… I’m Pregnant! So, if from the title of this blog post, or from the photo above, you still haven’t quite grasped the big news that I’ve got to tell you all: Steve and I are having a baby! I’ve been dying to tell you all since we found out but have obviously been keeping it a secret until we hit that all important 12 week mark and had a scan of our beautiful little bean. It’s come as a bit of a surprise but we both couldn’t be happier about the news and are now eagerly counting down the days until my due date. We found out that we were expecting around what feels like forever ago even though its only been a couple of weeks and honestly couldn’t be happier. We told both of our parents first after keeping it to ourselves for a week to let all of the madness sink in and then started to tell the rest of our close family who have all been super excited and supportive too. It’s been a hell of a couple of weeks both in terms of how I’ve been feeling and with Steve having been on holiday in Thailand when I had the 12 week scan (and an extra scan a week after that) but *touch wood* at 14 weeks everything now seems to be going smoothly. So, as I just mentioned I am in fact 14 weeks and 2 days, making our baby’s expected arrival date August 30th (although I must admit I am hoping for a September baby so if he/she could stay in for a couple days that would be fab!). I’ve been struggling really badly over the past month with Morning Sickness and the first trimester really has not been easy for me – but I’ll be writing about all of that in a separate blog post, coming soon. I just wanted to finally be able to share my news with you all and share how excited I am! It’s not been easy trying to keep up with my blog as I’ve just had zero motivation and energy but I promise you now, I will be back on it over the next couple weeks and I hope you can excuse my little break – I’ve had a valid excuse, cooking up our little bean! Congrats, to you and your OH.